"Excellent - The car is like new! I will use Clean Image again and won't hesitate to recommend you to others. Vehicle for Export to Canada. Clean Image can provide an Export Service. "Vehicle was treated/Sprayed with Microban X590. Note: Vehicle was already degreased by powerful cleaning. All surfaces inside and outside, including all pockets and compartments etc were sprayed. As well as all accessories, tools and spare parts were sprayed. This treatment was done in an effort to avoid steam cleaning by the Canadian authorities (Agriculture Dept. Canada) and so the people receiving the car could apply for special dispensation in Canada. I was very happy with the service Clean Image did. " "I was thoroughly impressed with the service provided by Clean Image, the staff are professional and courteous and provide a comprehensive assessment of the work required. I would certainly use Clean Image again and I have already recommended them to family and friends." "You weren't sure if the dent could be removed, and wouldn't charge if less than 80% improved. Barney had a go and did a stunning job. If you didn't know where the dent was, you would be hard pushed to find it even on close inspection." "Really very happy with both the results and the service by the people at the company. Great help in advising what would produce the best results, and the end the end result is a car that looks and feels much better than it ever had, and I have owned it for 6 years. I would certainly recommend Clean Image to others. " Just 39 minutes from Redbridge! with excellent attention to detail." I was quoted for the above valet £139.95 and was told it would take seven hours to do the job. I dropped the car off at 10.00am and subsequently received a phone call at 4.00pm to say it was ready. On collecting my car I found that the air conditioning was not working, but this has now been rectified. I noticed that the rear door window had not been opened, so the glass and door surrounding the metalwork was dirty. The four side windows had not been lowered and were dirty along the top edge. Various door rubbers were dirty. The tailgate metal surround was dirty. The tailgate rubber was dirty. The driver's door bottom was dirty. The nearside rear top door rubber was dirty and had grit in the rubber channel. The empty spare wheel well had not been cleaned. Cleaning cream was left on the mirror side of the driver's sun visor. The sun roof metal recess had not been cleaned properly. The sun roof leading and rear rubber edge was dirty. The above had now been rectified and has taken me one and a half hours to do the work your staff should have done in the first place. You may wonder why I am not well pleased with your service. I ask myself if you are really "Chelmsford's Premier Car Valet Centre"? Perhaps after due consideration of the above, I think you will agree that I am due a substantial refund of my monies paid to your company for the poor workmanship carried out on my car, and for the time I have had to spend completing the job. We gave this matter due consideration and this gentleman will not be getting a refund. As you can see from the testimonies on previous pages, we don't always get it right first time - after all, nobody is perfect and all companies make mistakes, it's how the company handles those mistakes that really makes the difference. We will bend over backwards to please our customers, even if we feel we are not at fault. We will rectify any problems, and we give upgrades, and free stuff to make up for any inconvenience. We realize that it is customer satisfaction that is the No.1 thing that keeps us in business. However, there are some customers we just don't want or need, especially when they treat our team in a disrespectful and condescending way. When mark took the booking the customer asked what would be the latest they could bring the car in and still collect it the same day. We agreed that if he dropped the car off at 10.00am he could collect it at the end of the day. But when he dropped the car off at ten, he then insisted that we had to get it done by 4.30pm because he had to go and play bowls. Mark advised him he thought the car only needed a Bronze Valet but he insisted that we carry out a Silver Valet - all the while he was talking down to Mark. 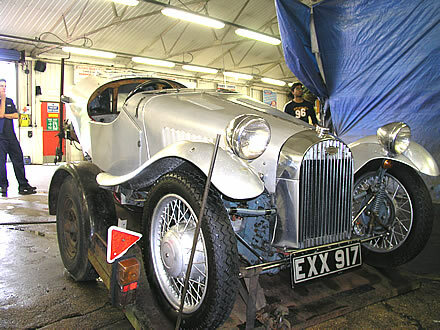 In order to please the customer we had to have two valeters working on the car to get it finished on time. When he collected the car he said that he was happy with the valet but we should give him the valet for free because he claimed his air conditioning was not working. And he tried to bully a member of staff into admitting liability in writing (We don't do anything that would effect air conditioning and so it would be highly unlikely that we would break it. We also felt that the air conditioning on this car might work more effectively if the engine were running, which was something we didn't get the chance to test). It should be noted that if any customer is dissatisfied with our service, including broken air conditioning, they are protected by consumer laws -- and so are we -- we must be given the chance to rectify the situation. So we declined the customer's suggestion that we gave him a "free valet" and instead said that we would have an independent inspection done on the air-conditioning unit to determine the fault and the cause. However, the next day when we phoned the customer he told us that the air conditioning was now working and that he was happy with the valet. The next day we received the above letter listing many complaints and asking for a "substantial refund". We strongly suspect that this customer was actually happy with the valet, but he would have been happier if he could try-it-on and get some money back out of us. At no point has he expressed an interest in us to putting things right, instead he wants money. Unfortunately, such people do exist and every business has to find a way to deal with them. Our way has always been to stand our ground and announce that we are not a soft touch. Firstly, the valet times as marked on the appraisal forms are 'average times' and they are estimated to allow room for our valeters to 'breath'. So for example if another customer comes in with an enquiry, they can take the time to talk to them, and not be in a rush to complete the work on time. It would not be unusual to finish a valet in under the average time. This is irrelevant in this case as this customer demanded we finish the car early and we had two valeters working on it. It was completed early which is what he wanted. Secondly, we have different levels of service, if we did every little detail on every car, got every bit of grit out of every door rubber, then we would only have one type of valet, it would cost many hundreds of pounds and take several days to do -- we have to draw the line somewhere, even on the Gold Valet. On a Gold valet we clean the spare wheel compartment and and all the shuts and door surrounds as standard, but on a Silver valet these things would have to be selected as extras and we would be happy to do them for anybody who asks. (To see dirt in the rubbers on the tops of the doors on a Honda CRV, you would have to be standing on a chair, which goes to show the lengths this customer went to to find fault.) We do open the windows to clean the tops, but obviously if there is dirt and moisture in the window surrounds (top or bottom), then this dirt will transfer back to the glass leaving streaks. It's a problem we are well aware of, but without taking the doors apart, there is little we can do about this. In this case we are satisfied that we carried out the work we were commissioned to do to a satisfactory standard. Job done on time and to an excellent standard at reasonable prices. I would definitely use Clean Image again and recommend them to others. " "Great job. 9 yr old car has come up beautifully." "Polite and helpful staff throughout the process. Smart repair carried out on a bumper gave reasonable results. Slight niggle that there was overspray on my car tyre and bumper seam though."